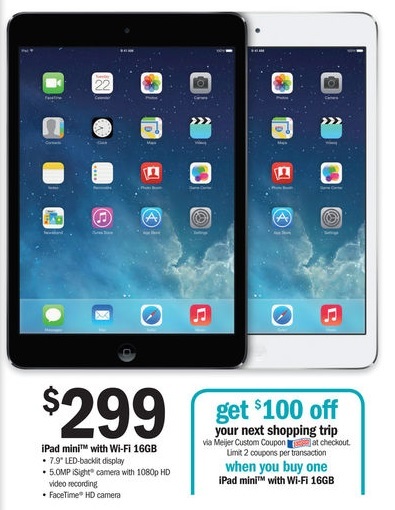 Meijer: iPad Mini with Wi-Fi as low as $189! *Your reward in that category will reset once you earn the reward. So, if you plan to purchase this item you will be able to choose another reward in 24 hours, plus you’ll have the reward from purchasing the iPad and the $100 Meijer coupon to use. ← Meijer: Get Two Bottles of Kraft Dressing and Produce For $2.48 or Less!